Achieving success in anything is something many people strive to do in their daily lives, whether it be within their family life, their place of employment or their extracurricular activities. To reach this goal, it normally takes a lot of work and thought process to achieve the ultimate success. 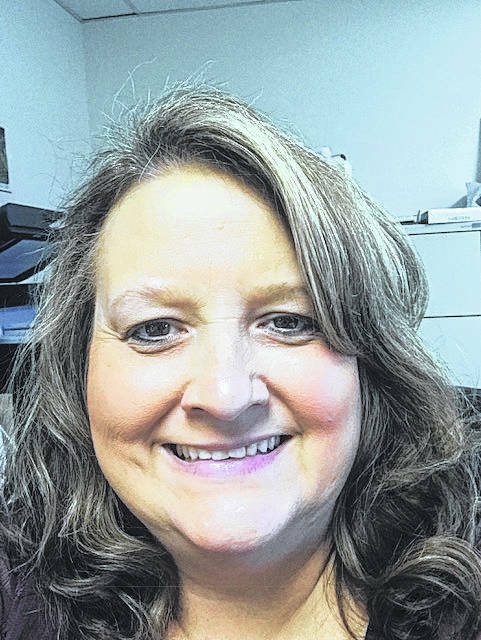 Dianna Reedy, treasurer for Portsmouth City Schools, has received success in her job. She has been honored with the Auditor of State Award from the Auditor of State Office. The award states that the school district has excellent record keeping. According to Reedy, auditors spend about six weeks in her office to obtain these records and information. Reedy has been with Portsmouth City Schools for 10 years, except for one year. She started at Portsmouth in 2008 as assistant treasurer, and then for a year was treasurer for Northwest Local Schools, and then returned to Portsmouth in 2012 as treasurer. Reedy actually started at the MRDD school in the business office, and then went to school to obtain her treasurer’s license. Reedy gives credit and appreciation to her staff: Cathi Evans, Pam Ervin, Judy Church and Teresa Tsou. She also thanks Superintendent Scott Dutey, the school board and all of the employees of Portsmouth City Schools who contribute to the high standards required. “”We have strict procedures, and it takes all of us working together to make sure we give the taxpayers accurate financial records,” Reedy says. The Auditor of State Award is presented to local governments and school districts upon the completion of a financial audit. Entities that receive that award meet the following criteria of a clean audit report. Receiving this award and reaching a pinnacle of success is one of the greatest things many people work their whole lives to reach. Such commitment to excellence shows, as Reedy says, that it takes more than one person to make things work well and keep their system as it should be and receive a nice award for doing so. She is also quick to make sure everyone knows she did not receive this award without the help of the others with whom she works on a day-to-day basis.